In the wake of the closing of the Titan and Pollyanna blogs, we are continuing the charity corner here. This week, we are referring you to the Center for Reproductive Rights. This is a nonprofit that works with courts and legislators to enhance the spectrum of choice for women. Their mission statement: The Center for Reproductive Rights uses the law to advance reproductive freedom as a fundamental human right that all governments are legally obligated to protect, respect, and fulfill. Their operations budget is 79% of the total with 14% spent on fundraising and 7% on administration, which is quite respectable. Please donate. This week we share with you a report from a Survival International field worker. 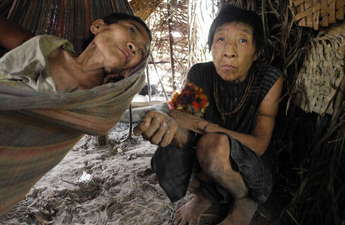 She reports on improvements for some members of the Awa tribe, but deterioration for others and calls for donations to help. 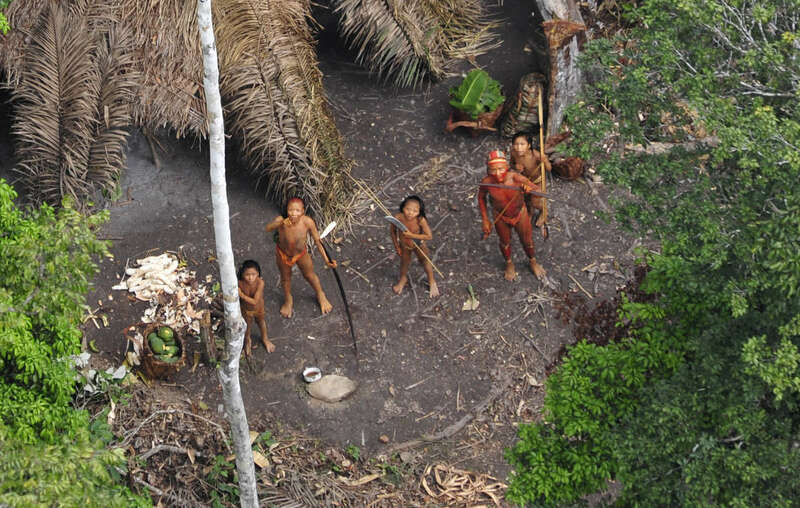 We focus this week on the uncontacted native peoples of Brazil and ask you to help. The recent editorial in Science magazine calling for enforced contact with tribes is indeed pernicious and wrong. This week we call you attention to slavery in in the run-up to the 2012 World Cup of football (soccer to the colonials). Call on FIFA to tackle modern slavery fueling the Qatar 2022 World Cup. Migrant workers in Qatar are living, working and dying in modern slavery to bring the world the 2022 World Cup. FIFA must use its influence over Qatar to improve the working conditions for these workers. Please go to the site and take action. The office of Joint Mobile Group, a human rights group working in Chechnya, was attacked by a group of masked men in the Chechen capital, Grozny, on 3 June. Two JMG members had to evacuate the office through a window to escape a violent mob. Please join the protest. Uzbekistani human rights defender Elena Urlaeva was detained by police officers on 31 May and subjected to torture, sexual violence and humiliation to force her to surrender her camera’s memory card. The memory card contained photographic evidence of human rights violations documented by Elena Urlaeva. Please act on her behalf.